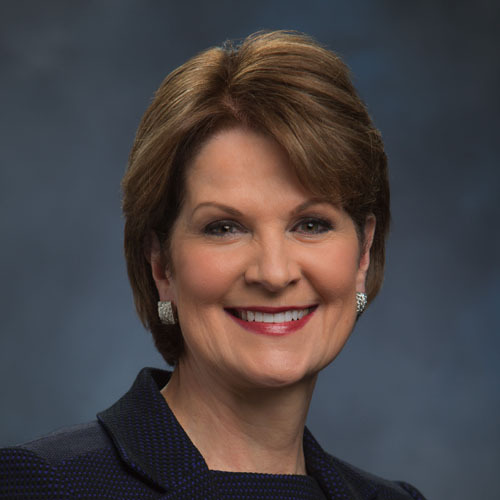 Marillyn Hewson is Chairman, President and Chief Executive Officer of Lockheed Martin Corporation. She previously held a variety of executive positions with the Corporation, including President and Chief Operating Officer and Executive Vice President of Lockheed Martin’s Electronic Systems business area. She is a former chairman and current member of the Executive Committee of the Aerospace Industries Association, a Fellow of the Royal Aeronautical Society, an Associate Fellow of the American Institute of Aeronautics and Astronautics, a member of the International Institute for Strategic Studies, and a vice chair of the Business Roundtable. Ms. Hewson also serves on the Board of Trustees of King Abdullah University of Science and Technology in the Kingdom of Saudi Arabia and Khalifa University for Science and Technology in the United Arab Emirates. She earned her Bachelor of Science degree in business administration and her Master of Arts degree in economics from The University of Alabama. She also attended the Columbia Business School and Harvard Business School executive development programs.